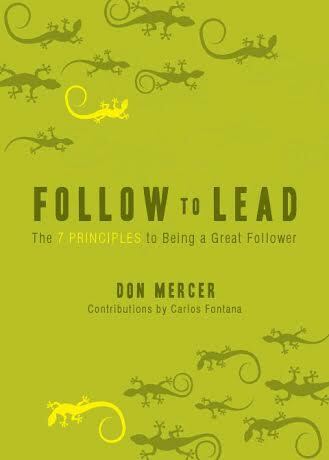 View cart “Follow To Lead: The 7 Principles to Being a Great Follower” has been added to your cart. A Spectacular Photographic Collection Celebrating the 70th Anniversary of Israel! 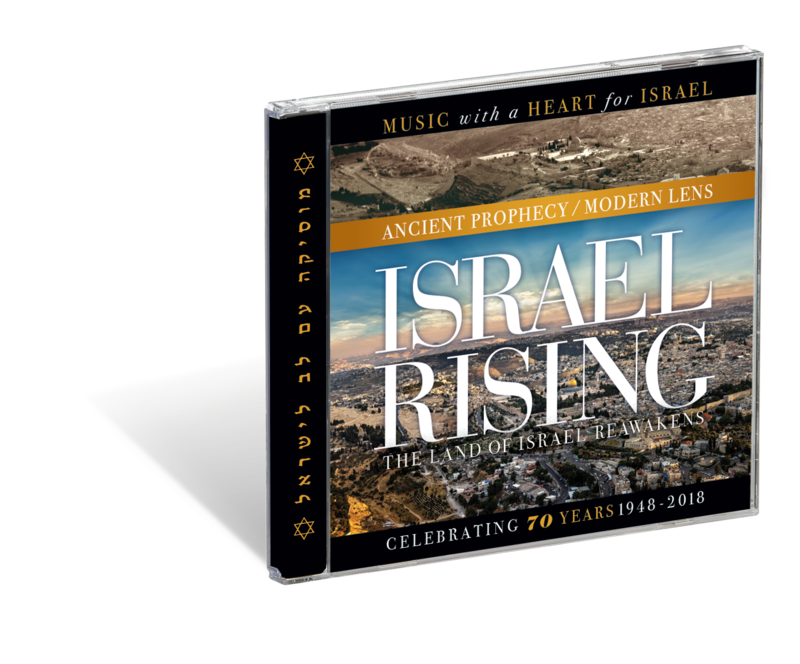 Book, 2018/2019 Calendar and Messianic Audio CD! Doug Hershey has produced an amazing 2018/2019 Jewish Calendar, celebrating Israel’s 70th Anniversary. This colorful, one-of-a-kind calendar includes all of the Jewish Feast Days, the often-prophetic Daily Torah Readings that are recited in Jewish synagogues all over the world, many spectacular photos straight out of his Israel Rising book, and prophetic commentary on those eye-opening landscapes. You will be amazed when you see how God has blessed the Land of Israel and be reminded of it every month when you flip the page! This calendar is a real work of art! Here’s a personal note from the author . . .
Today, as we celebrate the 70th anniversary of the nation of Israel we understand, as did the sons of Isaachar, the times and the seasons we are living in (I Chronicles 12:32). 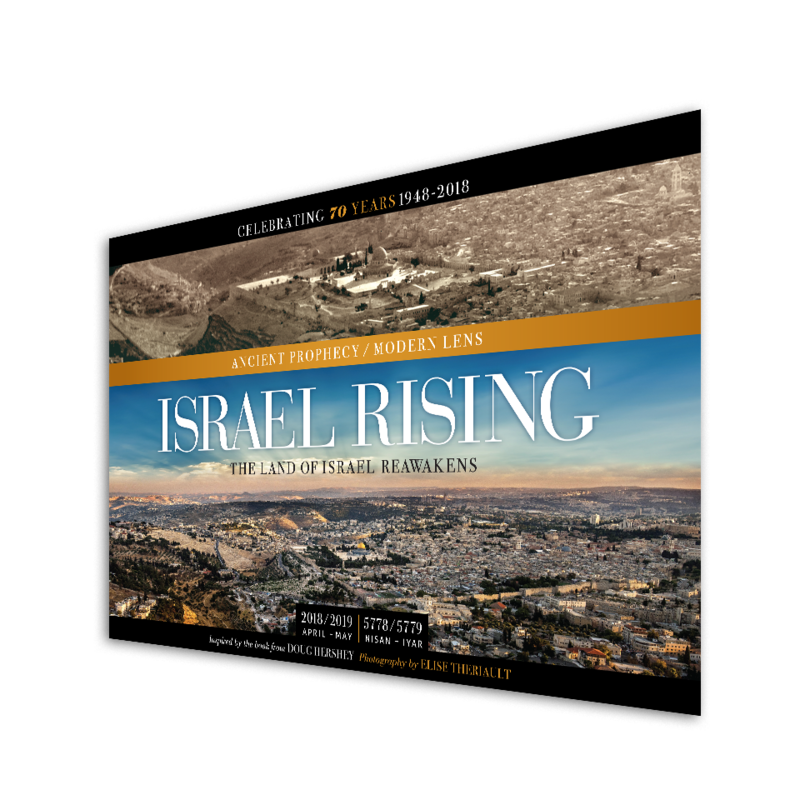 2600 years ago, God told the prophet Ezekiel to prophesy, not to kings, or nations, or people, but to the physical land of Israel: “But you, mountains of Israel, will produce branches and fruit for my people Israel, for they will soon come home” (Ezekiel 36:8). 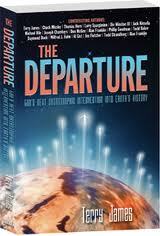 While the Jewish people were exiled for almost 2,000 years, the land lay desolate. Once the people began returning and the nation was reborn in 1948, the deserts began to bloom and the land changed dramatically. 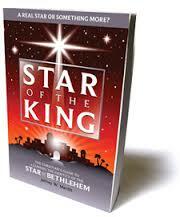 “The desert and the parched land will be glad; the wilderness will rejoice and blossom (Isaiah 35:1). 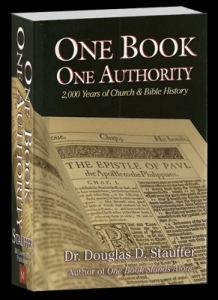 For the first time ever, thanks to the invention of the modern camera in the 1820s, we are able to provide the photographic evidence that the Scriptures are true and that God keeps His promises to a thousand generations. 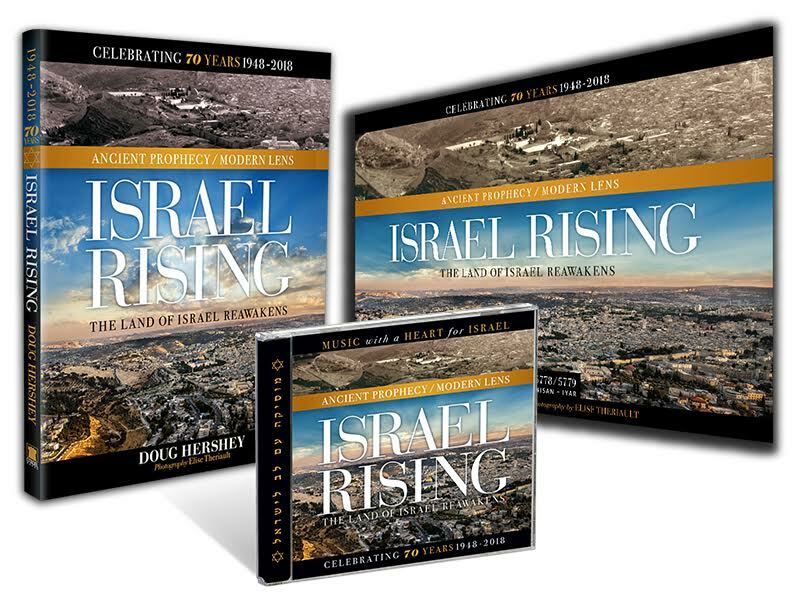 In this commemorative, Israel Rising calendar, you can enjoy each month of Israel’s 70th year, beginning in April of 2018 to May of 2019. 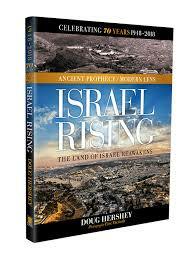 You will visually witness the transformation of the Land since the return of the Jewish people in 1948. It is my privilege to share with you these historic pictures of this desolate land, taken between the 1880s-1940s, then recreated today from the same angle, providing miraculous evidence that the land is truly reviving, just as Ezekiel foretold. May these photos be a blessing to you every month throughout Israel’s 70th Anniversary!